What does self care look like for you right now? Is this something you’d like more of in your life? What could you do to bring some extra kindness into your day? How about self love- where does your own self love rate on a scale of one to ten, one being no love at all and ten being absolute self love? 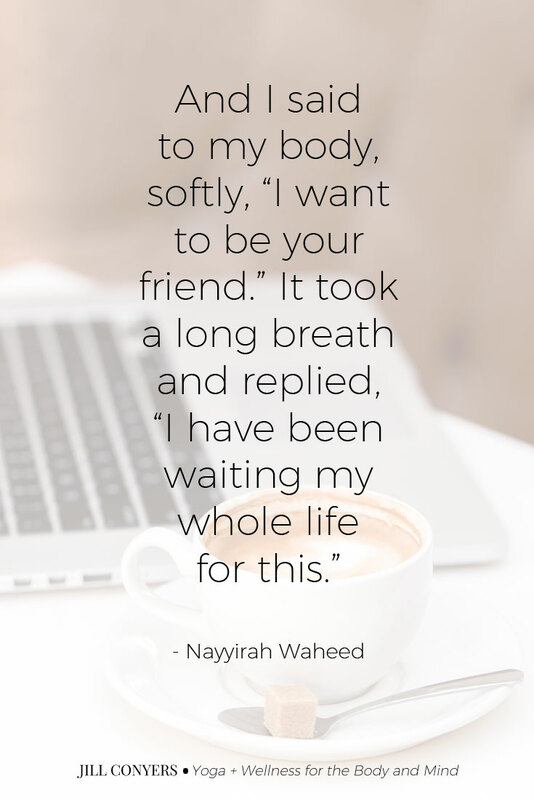 If self love feels like a stretch right now, just stay open and see if anything shifts for you as you work your way through this article and related resources. This is going to be a very gentle and inspiring ride. 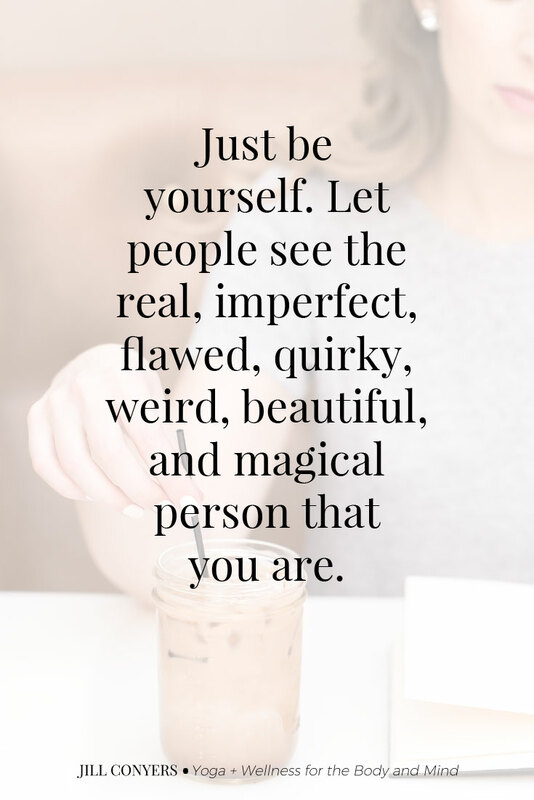 Let’s face it, we all have days where we feel less than perfect about ourselves. Our hair just doesn’t seem to fall right, or our clothes are ill-fitting. Although the occasional occurrence of viewing ourselves in a less than ideal manner is natural, the feeling shouldn’t linger. In fact, Dr. Joe Rubino, the author of The Self Esteem Book, reported that over 85% of the world’s population suffers from having a low self-esteem. This statistic leaves us with a world full of beautiful people who are unable to see their beauty for themselves. Beautiful people who don’t see all they have to offer the world. Are we all destined to live in an unhappy state- absolutely not. The battle of esteem can easily be won. Humans are creatures of habit. How can you overcome a pesky habit? By taking action. Instead of making choices because you’re being led by shame, guilt or fear – you will be empowered to make choices that truly make sense for who you are – meaning you will be living your authentic life. You will no longer be caught up with people pleasing, instead you will live a life that brings you satisfaction. 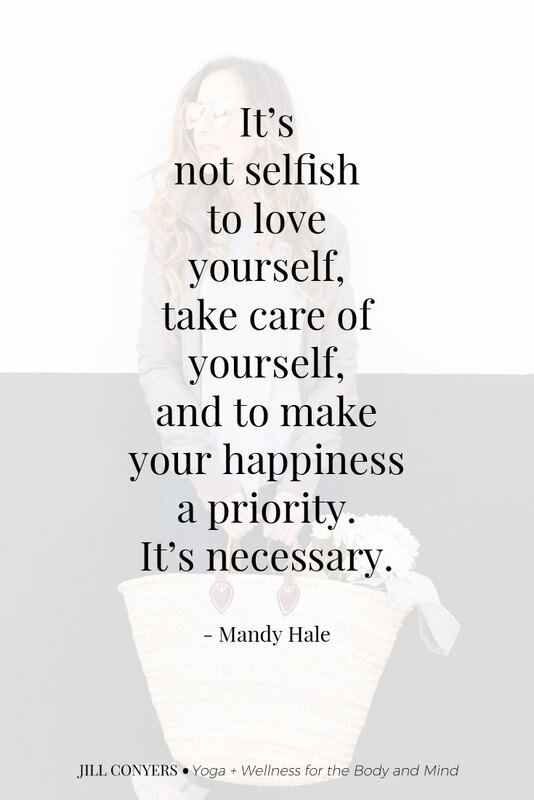 Self-love means honoring yourself because you know your needs are just as important as others. Once you have the hang of honoring your needs you start to feel more confident, which means you are more assertive. This results in a more purposeful attitude. You are strong enough to set clear boundaries with people and stick to them. When you worry about what others will think of you, you never feel free to be completely yourself. When you truly love yourself, you stop worrying about what everyone else thinks about you and you become more confident about living a life that is authentic for you. You need less acceptance from everyone else when you truly accept yourself. A lot of people get caught up in keeping busy schedules simply because they’re uncomfortable with being alone. You surround yourself with people, throw yourself into work, and make decisions that help you avoid that loneliness. It doesn’t need to feel scary to spend time alone, with self love you’re more likely to enjoy time with yourself doing things that you enjoy doing – whether it’s meditation, swimming, writing or watching a movie. Self-love brings more comfort to spending time in your own company. Your happiness is no longer based solely on the actions and/or the validation of others. Happiness comes from “within” and from “with.” You, yourself, are the foundation of your overall happiness. And we find joy in and grow our spirit by nurturing our connection to our families, friends, and neighbors. Affirmations are positive, specific statements that help you to overcome self-sabotaging, negative thoughts. They help you visualize, and believe in, what you’re affirming to yourself, helping you to make positive changes to your life. Affirmations can reinforce positive beliefs, and remind us of who we can be and what we can accomplish. Using affirmations will look different for everyone. Find what works best for you. Play around and experiment to see what feels right and is doable without feeling like just one more thing on your to-do list. Living well isn’t limited to engaging in exciting activities or making tons of cash. It’s a deeper connection to your body, mind, and spirit. Being mindful of the foods you eat and how they make you feel will make you glow from the inside out! In addition to eating well, engaging in some sort of physical activity is beneficial to your overall health and wellbeing. Getting outside and taking in the sun will boost your serotonin, also known as, the happy chemical in your brain. When you take care of your body, you’ll see changes in how you view yourself. You’ll become stronger both mentally and physically. Self confidence starts from within. However, surrounding yourself with positive people will only encourage you to continue to think happy thoughts about yourself. Every move we make has an effect that touches the people around us. On a more subtle level, when we share space with another person, we often pick up on their energy, feeling how they feel and attuning to them, whether we mean to or not. This is what we mean when we say a mood or a feeling is contagious. Once we think more deeply about the people we interact with, it becomes easier for us to work toward filling our lives with people who help us to cultivate healthy and positive relationships. Choosing companions who honor your strengths and acknowledge how great you are creates a healthy space. You have to live with yourself for the rest of your life. Why not make the experience a great one! We all have so many unique talents and opportunities to give to the world. Step into your authentic self. Love it. Live it. Be it. Empower yourself to live authentically, pursue your purpose and share you gift with the world around you. Because the Truth is that this is life. It can be messy and sometimes chaotic. Sometimes it’s totally overwhelming. But, this thing called life is also countless opportunities to develop and practice faith in our worthiness and the value in all that we have to offer the world. I really love all these tips Jill. And the quotes are exactly what I needed to hear today. I soooo need to unplug and start taking better care of myself. I need to unwind and have time for myself. I just love this so much! It’s so important to learn to love yourself. These quotes are so perfect! 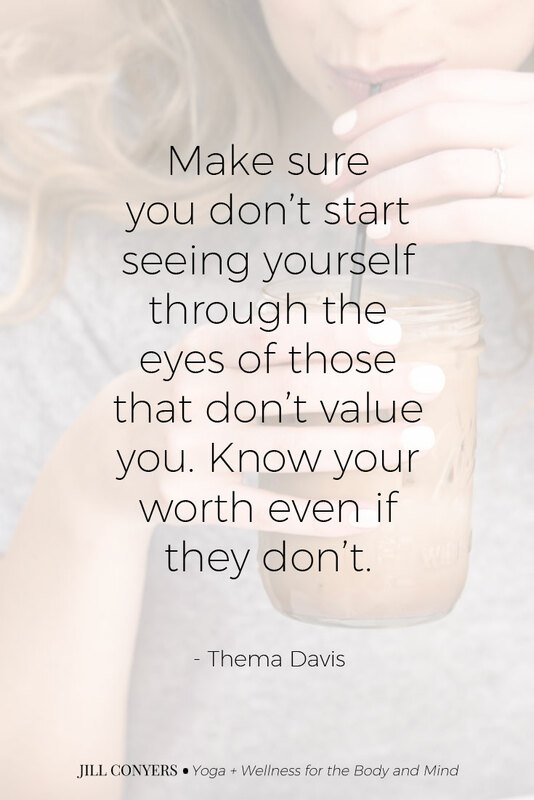 I loved this post, self-love is so important but now always easy to obtain. I work on it every day. This is so inspirational! It’s so important to make the time and conscious effort to love yourself, even when others don’t. I think social media feeds so many insecurities and unplugging is very much needed. Choosing your company wisely and removing toxic people from your life is key to being happier. Thanks for writing this post. So many great thoughts to come from this one post. I can see how it can be a course to study. Such great tips to start focusing on myself. 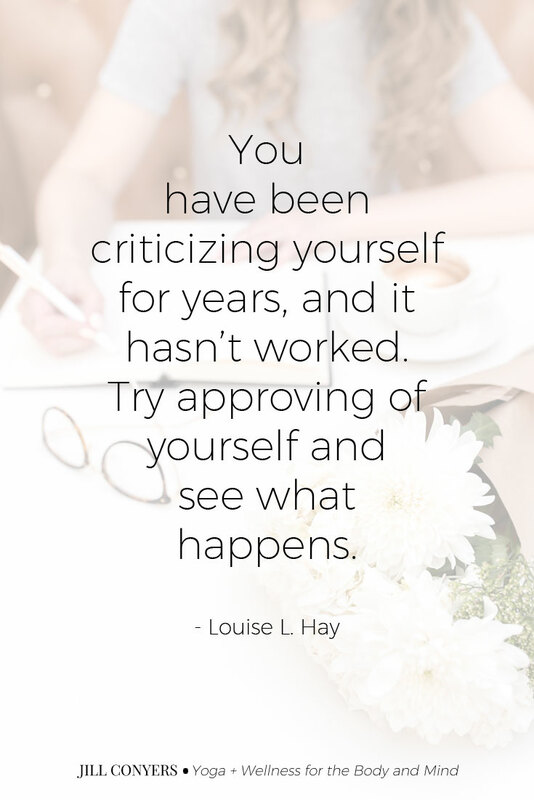 I used to look for others approval and feel so much lighter without that burden! 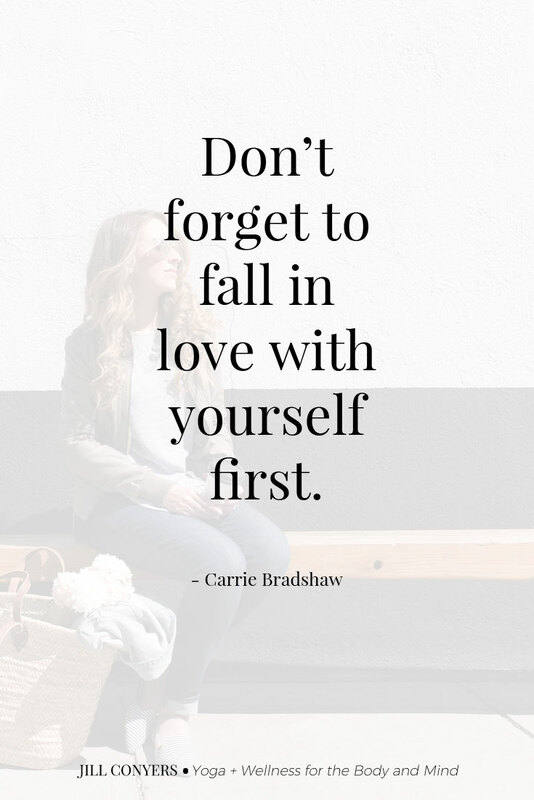 Learning to love yourself is so important in life. It can be hard, but the benefits as you listed out are so good for us. Thank you for sharing this. What a beautiful post! I am a firm advocate for self-care, living your best life, imperfect and authentic. This was a great reminder to do just that. Self love is so important. Great tips. What a great post, Jill. What’s I’ve found to be the ultimate form of self-love is creating and sticking to my boundaries. I work in education and it can be very hard not to work at home, even when I know others are doing it…..but I know that it’s not the life I want to live. Also, working out and eating healthy are the other forms of self-love I practice.